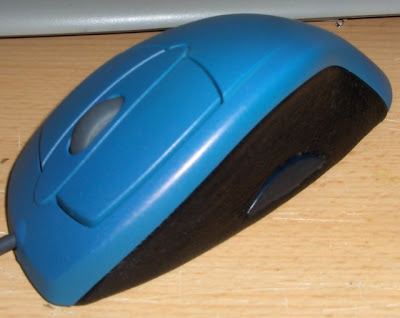 About 10 years ago I was buying noname mice every other month, and they kept breaking one way or another, until I decided to invest in a Logitech iFeel MouseMan. It was an interesting mouse. 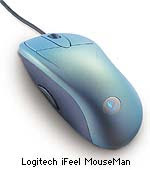 Featured force-feedback (which was fun for a whole 5 minutes) There was actually a plugin for Unreal Tournament that made use of it, which was my game of choice at the time, but I decided to remove the vibration motor after a while because it made the mouse a bit heavy. 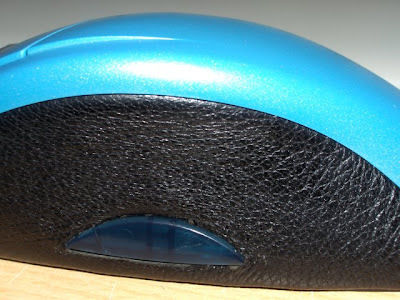 I used this mouse for several years, without a single problem. Then a micro-switch started giving out and I decided to clean the mouse when I took it apart to replace the switch. Washing it with whatever I did turned out to be a rather bad idea, as the rubber parts of the mouse started "rotting" away. It appeared to be breaking down into an oily goo, and was losing it's color in the process. Obviously this made it impractical to use, so I shelved it. Until about a week ago when I got bored and decided to tear the rotted rubber from the plastic inserts and replace them with leather. I might not have started doing it if I knew how much work would be involved. 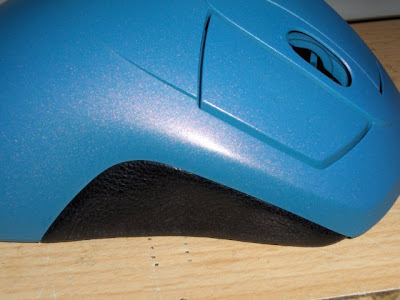 I don't know what kind of glue they used, but it took close to 2 hours with sandpaper, a Dremel-like tool, xacto knife and pliers to get to and clean the plastic pads. The rest was pretty easy, cutting leather to size, gluing it to the pads, then folding it in around the edges. I''m satisfied with the outcome.